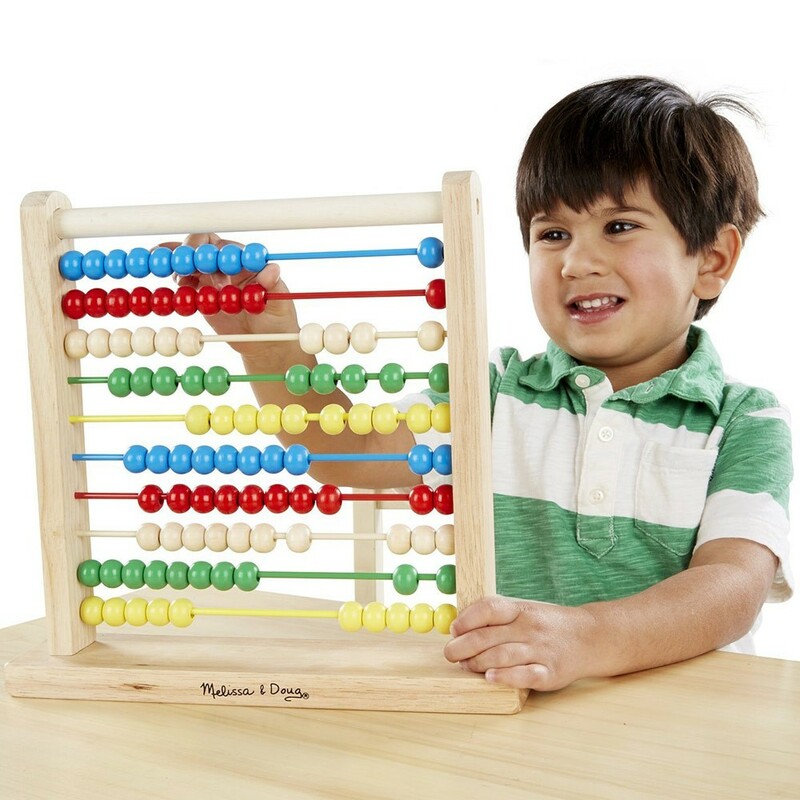 This Abacus by Melissa & Doug is a classic counting wooden toy abacus that will help to teach your children, basics of mathematics. 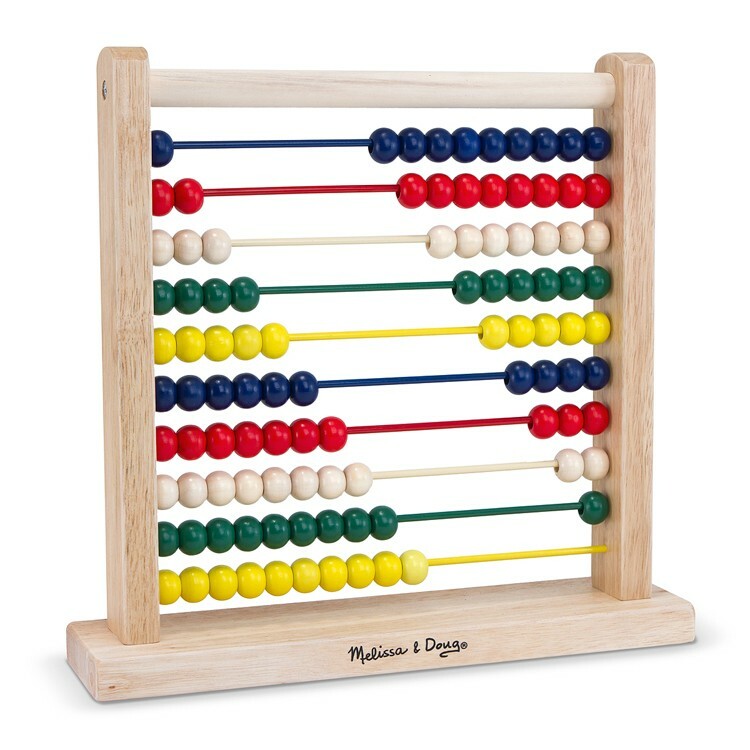 Abacus Wooden Counting Toy by Melissa & Doug is a classic toy abacus that will help to teach your children, basics of mathematics. Wooden abacus with colorful pieces will encourage your kids to learn patterns, colors, counting, and if your child is ready to move further, addition and subtraction. Children have great imagination, so the abacus wooden pieces can turn into animals that they have to count in the zoo, or building machines that they have to add to the construction site. This play abacus is made of hardwood and painted with nontoxic paint. 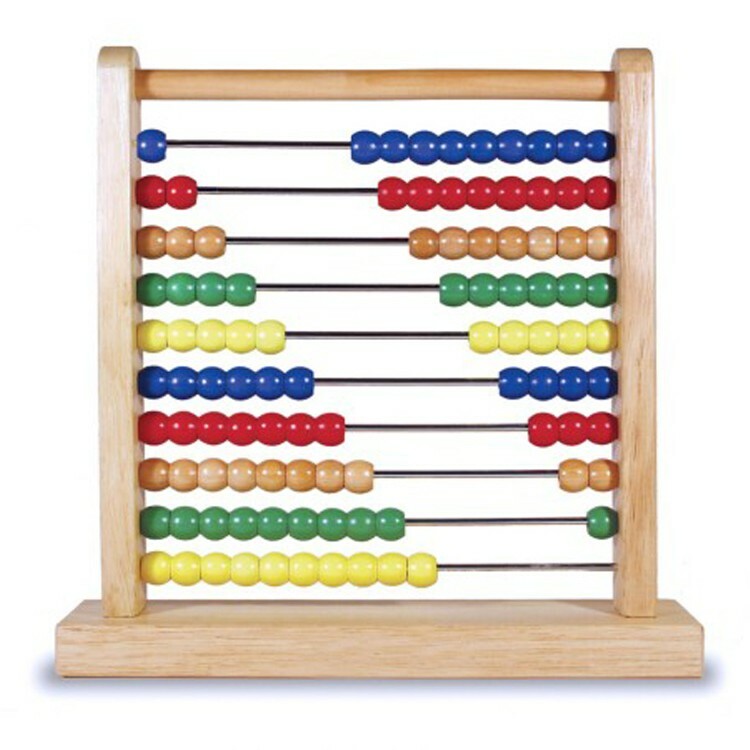 Children Abacus Wooden Counting Toy from Educational Toys Planet is an excellent learning toy for home or classroom. 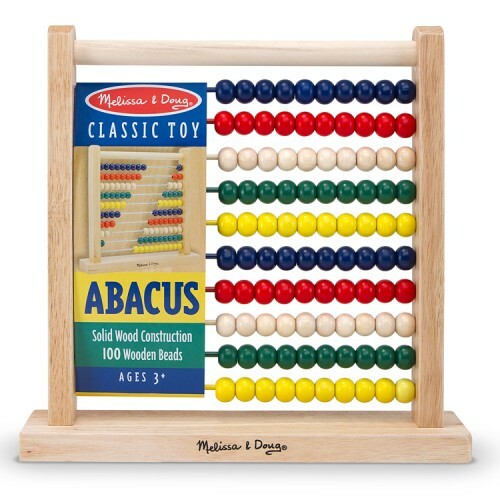 Dimensions of package 12" x 3" x 12"
Write your own review of Abacus Wooden Counting Toy. Rating: 3 by Hannah, NY dislike that it does not come with instructions on how to use as an abacus. Rating: 5 by Luz, IL Love it, reminds me of my childhood. Rating: 5 by Miriam, AR Very nice. Well made.